I have always been fascinated by how the immune system protects our body by identifying attackers and fighting them off. It’s a remarkable undertaking: it must recognise and protect us from any number of harmful molecules produced by a huge array of invading organisms. Sometimes, however, this system can go wrong. For instance, in the case of multiple sclerosis (MS), the immune system erroneously attacks the myelin – a fatty covering that protects our nerves – in our own central nervous system. This produces the chronic accumulation of demyelinated MS lesions that lead to the clinical symptoms of the disease. Initially acute attacks (called relapses) occur when patients have distinct neurological symptoms, which are usually followed by a period of remission. In the majority of people with MS, after a variable period of time, this is followed by a steady increase of neurological symptoms with little or no remission, which is known as secondary progressive MS. This secondary progressive stage of MS cannot be adequately treated at present, which is partly because we don’t know enough about how progression occurs. For a long time, the demyelinated lesions in the brain were thought to be found only in white matter. White matter is where the nerve fibres – or axons – are found, which are wrapped by myelin sheaths that help them with the transmission of information. However, our research group, led by Professor Richard Reynolds, helped to discover that MS is not only a disease affecting the white matter of the brain, but also the grey matter where the nerve cell bodies are found. During MS, nerve cells within the grey matter start to die, and the extent of loss of these nerve cells is strongly related to the rate of progression of the disease. However, very little is known about why these nerve cells are dying. Our recent research suggests that there may be chronic inflammation in the lining of the brain, called the meninges. This is where the cerebrospinal fluid that surrounds the brain is found. Immune cells trapped in the meninges release toxic molecules that leak into the underlying brain tissue and cause damage. This results in the slow loss of nerve cells over many years, and the speed and scope of this loss can determine how MS progresses. We are currently involved in research that examines the crosstalk between these trapped meningeal immune cells and the nerve cells in the grey matter. The immune cells make molecules called cytokines – small proteins that can influence the actions of other cells. Specifically, we study a cytokine that is known to initiate inflammation, called Tumour Necrosis Factor (TNF), which is released in large amounts from the meningeal immune cells into the cerebrospinal fluid. This cytokine leaks through the underlying brain tissue and binds to its receptor found on the surface of nerve cells. Once there, it triggers many functions within the cell, ranging from helping the cell to survive to causing cell death. We are trying to understand what happens within the nerve cells after they have been exposed to TNF and which further signalling pathways within the cell are involved. 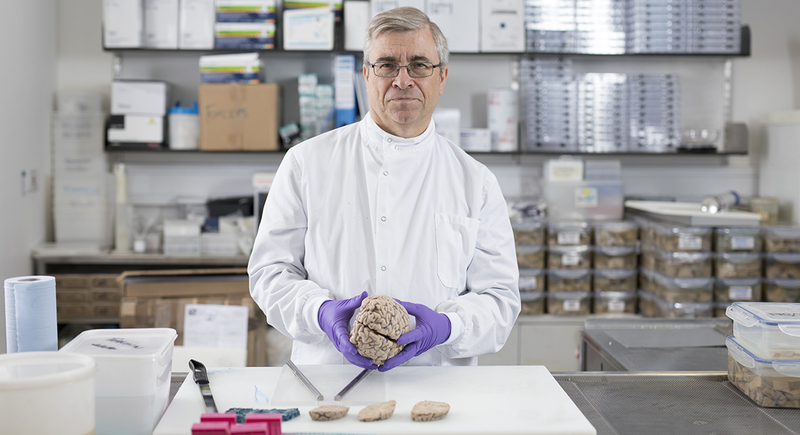 Thanks to the Imperial College Multiple Sclerosis and Parkinson’s Tissue Bank, funding from the MS Society, and the volunteers who have agreed to donate their brains when they die, we have access to post-mortem brain samples that are extremely valuable for our research. Through careful analysis, we have found that patients with a higher presence of immune cells in the meninges and increased levels of TNF have more loss of nerve cells within the grey matter. Our research has shown that, in the presence of meningeal inflammation, binding of TNF to its receptor on the surface of the nerve cells may trigger several signalling pathways that lead to its death. Clinical trials in the past aimed at blocking all TNF signals were not very successful. We hope to develop future treatments that are more specifically targeted to molecules involved in the cell death stimulated by TNF, without affecting any beneficial effects of this important protein. While studies on post-mortem tissue are incredibly valuable, they do not allow us to study changes over time. To study how exposure to cytokines like TNF causes grey matter damage over longer periods of time, we use experiments in rats whereby artificially engineered viruses enter the cells of the meninges causing them to continuously produce molecules over several months. The viruses are a modified form of HIV that no longer divide and are no longer infectious. When we use viruses that cause the production of TNF, the rats develop an accumulation of immune cells in the meninges and, subsequently, inflammation within the brain and loss of myelin and nerve cells. This closely mimics the damage that we see in the brains of MS patients. This work in rats helps us study the exact way in which these cytokines cause death of nerve cells, and importantly allows us to test possible drugs that stop the activation of cell death mechanisms, therefore preventing the loss of nerve cells. 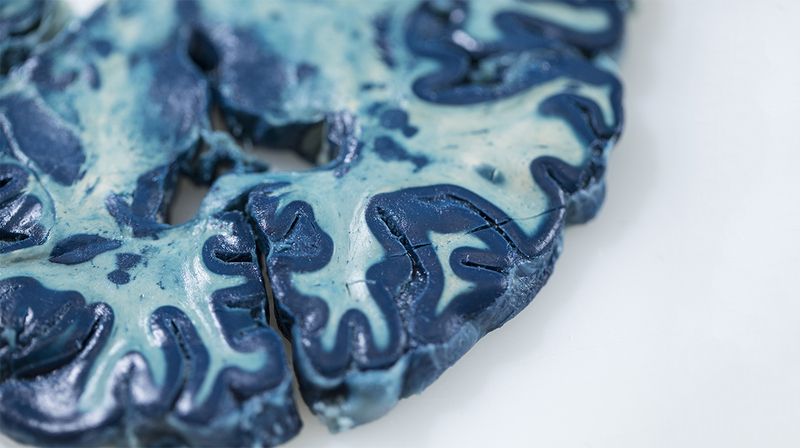 When developing drugs for the progressive phase of MS, inflammation becomes more and more trapped within the space around the brain and in the brain itself. It can, therefore, be difficult to visualise any direct impact drugs might be having on immune cells. In this case, it is beneficial to be able to measure the amounts of certain molecules (called prognostic markers) in blood and CSF samples, which are more easily accessible. These markers can provide an indication of the likely response to treatment within the brain. Part of our research involves the measurement of different cytokines in the CSF of people with MS, which can provide a readout of the health of nerve cells and inflammation within the brain. Effective treatments for the progressive phase of the disease are still lacking despite the enormous effort of our research community. We are working to uncover the mechanisms involved in causing the damage, and our understanding of why MS becomes progressive and what drives it has dramatically increased in recent years. 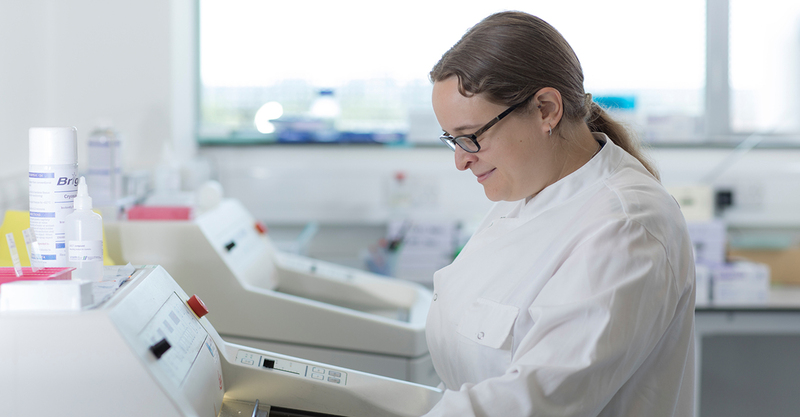 We hope that this will provide us with a wide range of targets to develop new drugs for the progressive stages of MS.
Dr Rachel James and Dr Carmen Picon Munoz are postdoctoral researchers in the Division of Brain Sciences, Department of Medicine. Change of heart: will advanced therapeutics replace heart transplants?